I’ve been trying to find this Foxydigitalis review for a while now. Seems I shouldn’t have given up before Jan 24th. They said very nice things about RobRobRob. Also, the Moonwood test pressings have come in and we’re in the process of checking them out. River Ghosts is sounding pretty good, I think. 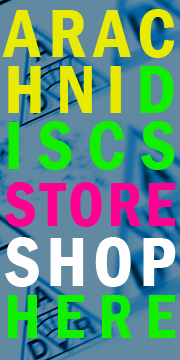 You are currently browsing the ARACHNIDISCS RECORDINGS blog archives for March, 2011.